Eldest has started back at school, youngest is back at nursery, and normal service is slowly starting to resume in our house. After not much time for blogging during the school holidays, hopefully as the kids return to school, I will have more time to feature lots of new wonderful vegetarian recipes. 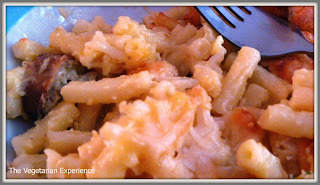 To kick off the new term, today I am featuring a Macaroni Cheese with a difference on the blog. I love homemade Macaroni Cheese. As a child I do have some disturbing memories of eating the canned variety, but fresh, homemade macaroni cheese makes a really delicious classic vegetarian meal. As the kids are back at school, they need a decent meal when they return home. Although Macaroni Cheese can be a filling meal, I wanted to create a meal that was a bit more substantial than just macaroni, and so I decided to include some other ingredients in the Macaroni Cheese. To create a whole meal in one dish, I added some chopped, gently fried onion and garlic, and I also added some cooked vegetarian sausages which I grilled, and then cut into small pieces. If you are not a fan of using a meat substitute, as I know some people aren't, you could try adding onion, garlic, red or green peppers, courgettes or spring onions. Fry them gently beforehand so that they are part cooked, drain the oil and then add them to the mixture. You could also add a tin of beans or a tin of tomatoes to the macaroni cheese to make a more substantial meal. I would typically also layer tomatoes on the top of a Macaroni Cheese, but eldest seems to have gone off tomatoes lately so we left these off. 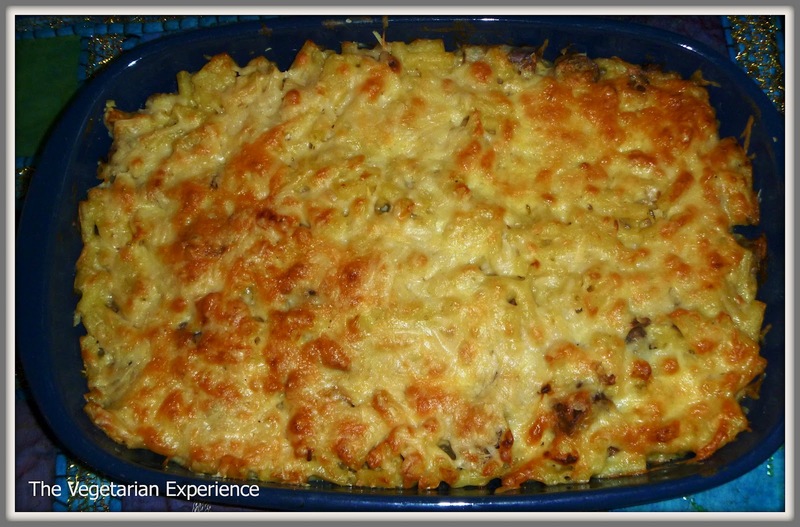 The kids and hubby really love having the sausages mixed into the Macaroni Cheese and this has become one of my favourite autumn meals. I would love to hear your thoughts on this dish if you decide to give it a try, or of course, you could just omit the sausages and onion and stick to the traditional recipe if you prefer! Cook the sausages under the grill and leave to cool before chopping into bite-size pieces. Cook the macaroni on the hob in a pan of boiling water with a splash of oil until the macaroni is cooked. Gently fry the onion and garlic in some oil until the onion starts to soften, then drain and leave aside. Meanwhile, start to cook the cheese sauce. On a medium heat, melt the butter in a pan and add the flour, stirring as you do so. Allow the mixture to bubble as you stir for about a minute, to remove any floury taste. Start to add the milk a little at a time. Stir as you add the milk until the sauce begins to thicken and become smooth again. This will take around a minute each time. Repeat until all of the milk has been added. Add the nutmeg and stir into the milk, and then add 100g of the cheddar cheese and keep stirring until it has folded into the milk. Meanwhile drain the macaroni, and add the veggie sausages and onion. Stir to combine. 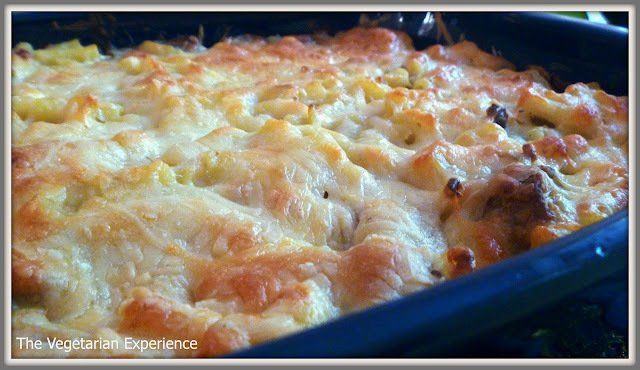 Gradually add the cheese sauce to the macaroni mix and stir thoroughly. Add the mustard and stir thoroughly again so that all of the ingredients are combined. Transfer the mixture to an ovenproof dish. Sprinkle the remaining cheddar cheese and vegetarian hard cheese over the top of the dish. If you like, you could also top the dish by laying the sliced tomatoes over the top of the cheese. Bake in the oven at 200 degrees for 30 - 40 minutes. Remove from oven, allow to cool a little and serve. Lovely twist on a classic veggie dish. 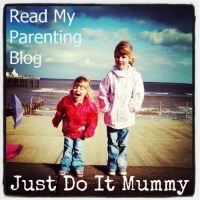 Just found your blog - This looks lovely, will try it soon.